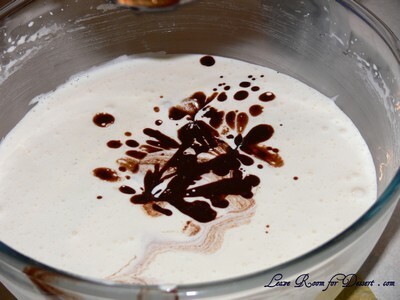 This is one recipe where I have no idea where it originated. I received it from someone at uni, who got it from someone at uni… and I don’t know where they got it from. I’ve doubled the recipe, because there really is no point in only making just one batch (16 brownies) of these (as you can freeze left-overs and take them to work or school). They are great! And even though there are other more decadent recipes for chocolate brownies, which include rich chocolate pieces and toasted nuts, these are easy and pretty cheap too! Preheat oven to 180°C (160°C for a fan forced oven). Grease and line two 20cm square cake tin. Put butter into saucepan and melt over low/medium heat. 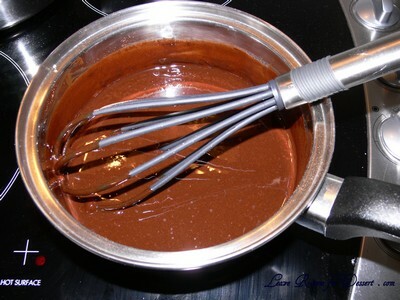 Add cocoa and whisk until well blended and smooth. (Add extra choc bits at this stage). Remove from heat and cool slightly. 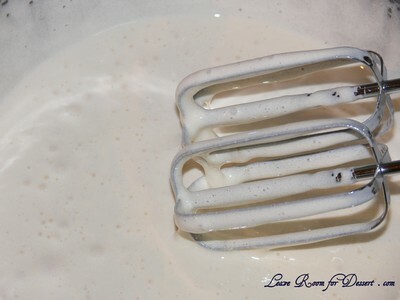 Using an electric mixer, beat eggs and caster sugar in a mixing bowl until light and fluffy. Beat in butter and cocoa mixture and vanilla essence. Sift flour over the top and fold in gently. Then fold in dark choc bits. 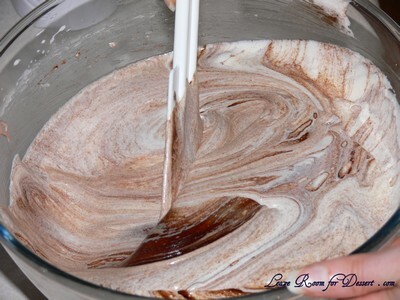 Pour into prepared cake tin and bake for 40-45 mins or until firm to touch at the centre. 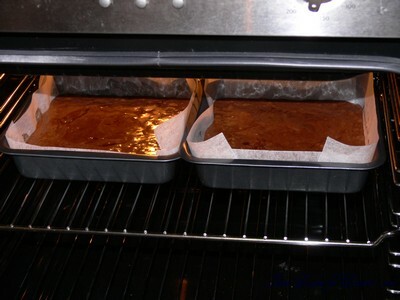 Take care not to over bake the brownies as they dry out. (If you accidentally undercook them, just say they were meant to be fudgey brownies 🙂 . 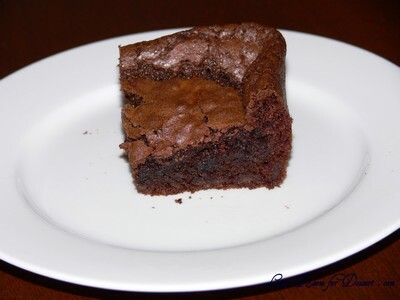 Leftover brownies can be frozen and thawed at room temperature. 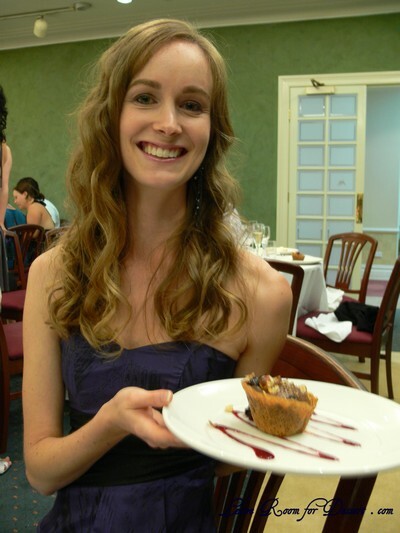 Filed under Cakes, Slices and Biscuits, Chocolate, High Tea, Recipes. You can follow any responses to this entry through the RSS 2.0 feed. You can leave a response, or trackback from your own site. Wow look at that crumbly exterior! I’m drooling. I promised my Mum I would make her brownies for Mother’s day, this looks great! 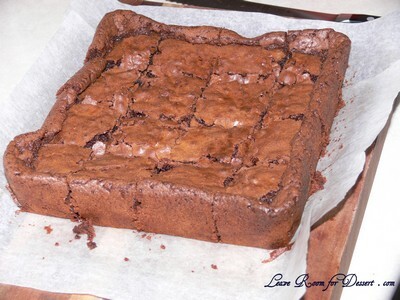 You can never go wrong with brownies…rich and gooey…perfect! Wow.. I can eat ’em anytime of the day. 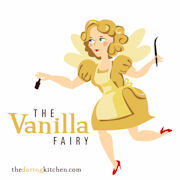 you have a lovely recipe collection, shall visit your site often! Yay! This recipe is finally up! This is SUCH a good recipe – I shamelessly requested it from Anita and cook it at least every fortnight. I only use a fork to combine the eggs, sugar and vanilla,i find that that makes the brownie more fudgey. 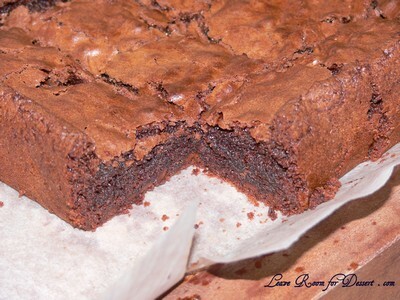 Perfect brownies, cracked top and fudgy middle! I would have to triple the recipe, because I would defiantely eat a batch all to myself! Brownie hoover sitting right here! Having watched ‘Poh’s Kitchen’ on the ABC, I now know that it is important to properly beat the sugar and the eggs as otherwise they start to cook each other! So, listen to Anita and not to me! will this recipe work just as well when the recipe is halved and baked in one tin? I made these last night and they were awesome , ive got a mighty sweet tooth and was craving brownies, thanks for the recipe !